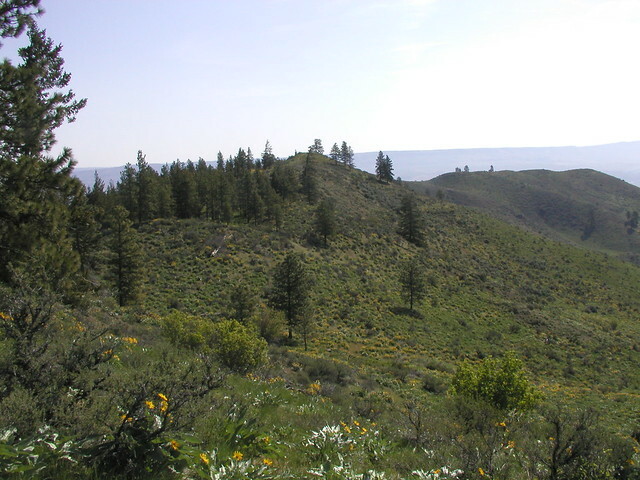 This 1,700-acre reserve represents a critical piece of protected open lands in the Wenatchee Foothills. Wildlife can move from mountains to the valley. Mule deer will always find a winter haven here. People can hike or bike for miles on trails that start right out the city’s back door. This short spur takes off north of the saddle from the highest point of the Homestead trail, climbing a short route to the top of a knoll with spectacular views of Glacier Peak and the lower portions of the Horse Lake, including the homestead ranches. Best of all, a bench in honor of conservation champion Dennis Garrity invites you to rest and take in the scenery. A short gravel path from the Horse Lake Trailhead leading to great views of the Wenatchee River Valley with interperative signs and benches at the top. A short loop right off the Horse Lake Trailhead perfect for introducing kids to the joy of hiking and biking.